Some time ago I started researching my family who first came to Paterson's Plains in the Hunter Valley in 1823. I am a descendant of John Cory the Elder through his youngest son Gilbert Cory. It soon became apparent that apart from documenting what the family did there was a much broader story waiting to be researched. The history of the family is very much interwoven with those who provided their workforce and in turn supported the development of their estates. In the early stages of my research, if I had realized just how many people were involved, it is unlikely that I would have embarked on such an ambitious project. A few years ago such a study would not have been feasible. It has only been made possible by the wider dissemination of information in the public domain. Indexes, searchable on a number of fields, published on the Internet, by libraries and record repositories have helped in the task of identifying many of the people who worked on the Cory estates. Other significant sources are family histories published on personal web-pages. Since first publishing my web-page in 2005 I have received some very generous help from others whose forebears had worked and lived on one of the Estates. The Cory Family consisting of John Cory the Elder, 1772-1855 and his three sons Edward Gostwyck, 1797-1873, John Johnson, 1799-1839 and Gilbert 1812-1896 arrived in New South Wales over a ten-year period from 1823 onwards. For just over a century the Family held land in the Hunter Valley, being amongst the early settlers granted land at Paterson's Plains. In the early days each property developed as a small self supporting community. Agricultural and pastoral activities were labour intensive requiring a large workforce for properties to be productive. Consequently, over the years many people worked and lived on these properties, thus contributing to the development of the community on the Paterson River and in turn to the Hunter Valley and the Australia we know today. The family�s interests were not confined to Paterson�s Plains. Edward Gostwyck Cory received two additional grants, the first at Wangi Wangi and the second on the Fish River near Bathurst. 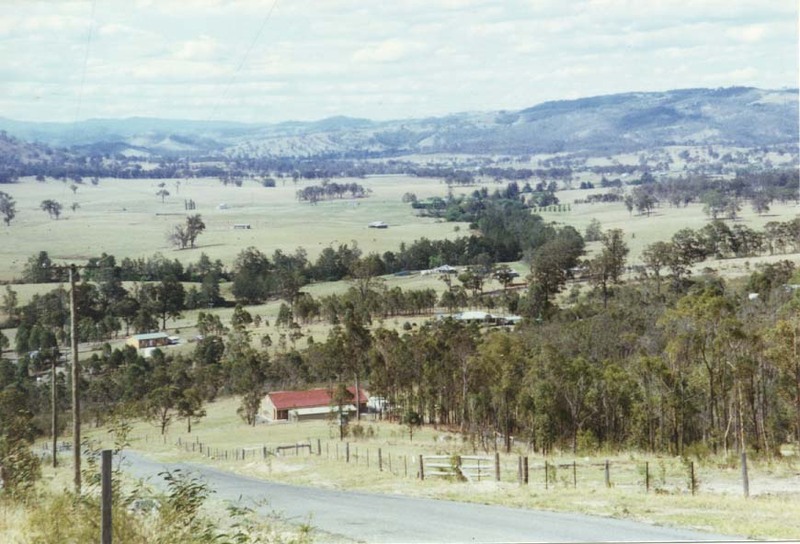 His brother, John Johnson purchased land from the crown on Page�s River in the upper Hunter Valley. Both these brothers also joined the ranks of the squatters. Just as our present day lifestyle would have been completely incomprehensible to our forebears, so are many facets of their lifestyles difficult for us to envisage or even understand. Official records set the scene but in many cases it is the finer details of everyday life contained in personal letters, family stories and photos held by descendants that help us draw a more accurate picture of the joys experienced, the aspirations held, the achievements attained, the difficulties faced and the hardships overcome. This is very much an ongoing project, with names and information still being added to my data base. Since this site was launched in October 2005, information has become much easier to find. The interchange of information with other researchers is an important aspect which will lead to a greater understanding of the way of life at Paterson�s Plains in particular and the Hunter Valley in general during the first hundred years of settlement. For most of the people listed in the following pages I hold additional information. Please E-mail me for further information on a listed individual, to add a person to one or more of the lists or to correct any details. From Cory�s Creek Road looking across the plain with the Paterson River in the mid-ground. The township of Vacy is hidden by the trees. I came away with a new-found admiration for its many impressive swiss replica watches starting with its mechanical engineering and ending with its countless neatly executed details. When the officials give a signal, the countdown begins, the replica watches are started, and the maneuvering begins. This is a complicated replica watches sale for a small problem very few people have. A replica watches will be better for the job. I tried to like the watch. I believe the very moment when the time is up is marked by a horn or other sign anyway and the skippers need a regatta timer not to identify the chanel replica when the time is up but rather to keep track of exactly how much time they have left to replica watches uk their boats. Yes, we are even talking about the functionality, construction, or comfort of the replica watches.